Energy matters to economic growth and general prosperity, but to what degree? Over the last thirty years a new view of the English ‘Industrial Revolution’ is beginning to take shape that suggests it matters much more than is allowed for in mainstream economics, a development that gives further reason for concern about global attempts to reduce emissions through the adoption of renewable energy. No politician, at least in well-thinking Europe can make a speech about oil or gas or coal or wind and solar without observing that energy is essential, that it is the lifeblood of the economy, the foundation of all we do, even that it ‘powers our lives’, as the UK’s Secretary of State for Energy Climate Change, Amber Rudd said in her reset speech of last November. 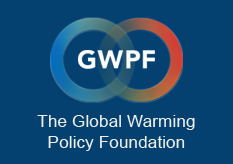 The general public nods in agreement, and of course the analysts, particularly the engineers, who focus their attention on energy policy or on policies that have become supervenient to energy policy such as measures to mitigate climate change, also implicitly attribute to it a more than arbitrary or accidentally significant importance. Yet that is not the way that Economics, the social science with exclusive rights to the discussion of the deployment of scarce resources and the distribution of the results, has tended to see the matter. A newborn graduate of PPE, glistening wet and still blinking in the stark light of Bishopsgate or Whitehall, will probably tell you that energy is just one element within the category of ‘land’; and with refinements and academic caution (sure prophylactics against falsification) that is the fundamental position of the mainstream. Consequently, and perhaps surprisingly to the man in the street, who would probably assume there was no doubt in the matter, there is a substantial literature weighing up the uncertain relevance of energy to economic growth. In fact, and in spite of close statistical analyses of energy consumption, GDP and price series, scholars have as yet reached no conclusion (for a concise discussion and some novel ideas see Ansgar Belke, et al., “Energy Consumption and Economic Growth: New Insights into the Cointegration Relationship”, Energy Economics, 33/5 (Sept. 2011), 782–789). However, that academically comfortable indecision is increasingly under pressure, and from a surprising quarter, economic history. Over the last thirty years, Sir Anthony Wrigley has published a series of books and papers that have argued with progressively greater force that the dramatic growth plainly visible in the data since the early 1800s and arguably starting long before is the result of a shift from a productive system grounded in energy derived from organic flows, mostly plants collecting solar energy, to one relying on mineral stocks, initially coal and now predominantly oil and natural gas. The entire scheme is brought together in Energy and the English Industrial Revolution (Cambridge UP: 2010) and The Path to Sustained Growth: England’s Transition from an Organic Economy to an Industrial Revolution (Cambridge UP: 2016). In a sense, Wrigley has realised the demand of Frederick Soddy, the Nobel prize winning chemist and credit crank that the “primary concern” of economics should be “the flow of energy” (Wealth, Virtual Wealth, Debt, 1926). Wrigley’s work, though very widely known and much respected, has yet to have had a salient impact on economic theory, partly because Wrigley himself has, very tactfully, not forced the issue, and partly because economic theorists do not expect conceptual invention and innovation to come from that direction, as witness the remarkable fact that when Daron Acemoglu, the MIT professor and author of the standard academic textbook on this subject (Introduction to Modern Economic Growth (2009)), came to discuss the ‘Industrial Revolution’ in Why Nations Fail: The Origins of Power, Prosperity and Poverty (2012) he relied on the largely obsolete work of Paul Mantoux, published in French in 1906 and in a revised edition in English in 1928, rather than Wrigley or any of the cliometricians, N. F. R. Crafts for example, whose work in the last few years has transformed almost beyond recognition the history of eighteenth and nineteenth and twentieth century economic growth. This neglect, of which Acemoglu is typical, is in large part the result of academic hierarchy, economic history being not only the junior field but lacking in abstract rigour. History has data but no equations, whereas economic theory has plenty of both, together with a longer track record and bigger names of which to boast. Yet, for all that, the breakthrough in theoretical understanding of the character and causes of modern growth seems to have come from the empirical margin not the abstract centre. It has to be said that this is not unprecedented in the development of science. The elevated reasoning of the professional theorists of the terrestrial creation, namely the philosophical theologians, had the prestige and all the imaginable institutional advantages, to say nothing of the income, but proved ultimately to be less productive of insight than the natural historians, whose detailed, frequently amateurish observations resulted, via Darwin and Crick and Watson, in nothing less than a fulfilment and indeed a justification of the Lucretian vision. The implications of all this for those concerned with the wisdom of current climate policies are or should be obvious, though I emphasise that Wrigley himself does not spell them out. If there are already sufficient grounds in mainstream economics for thinking that current climate policies are economically threatening, and there are, then the implications of Wrigley’s insights must lead one to infer that the attempt to force an energy transition against the cost-gradient is still more hazardous than has been previously appreciated. If it is dense stocks of energy that explain sustained growth, and the open character of modern societies, as Wrigley holds, then a coerced return to the thin, and wildly varying flows of renewable energy cannot prevail without endangering the social, political and economic gains of the last three centuries and perhaps even putting the process into reverse.